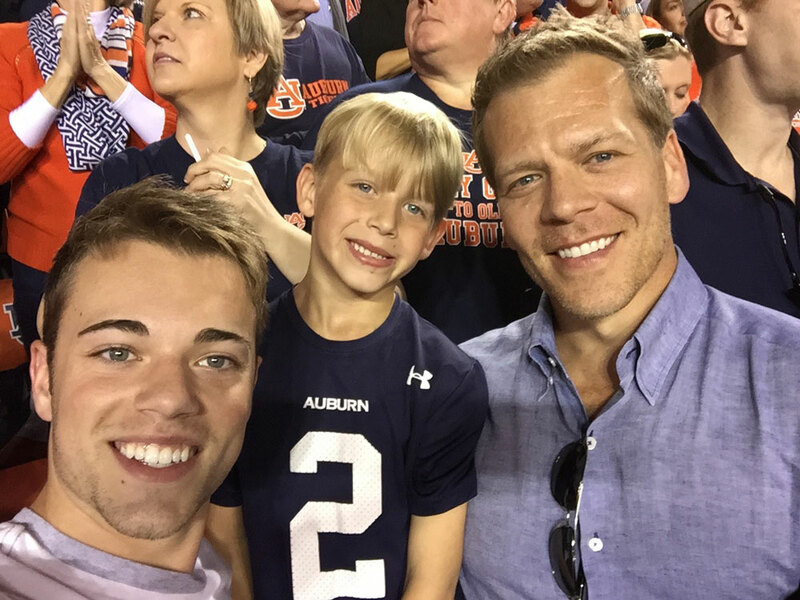 Dedicated to the values embodied by the Auburn Tigers, and the lifelong lessons of sportsmanship Brian Shulman learned from his coaches there. 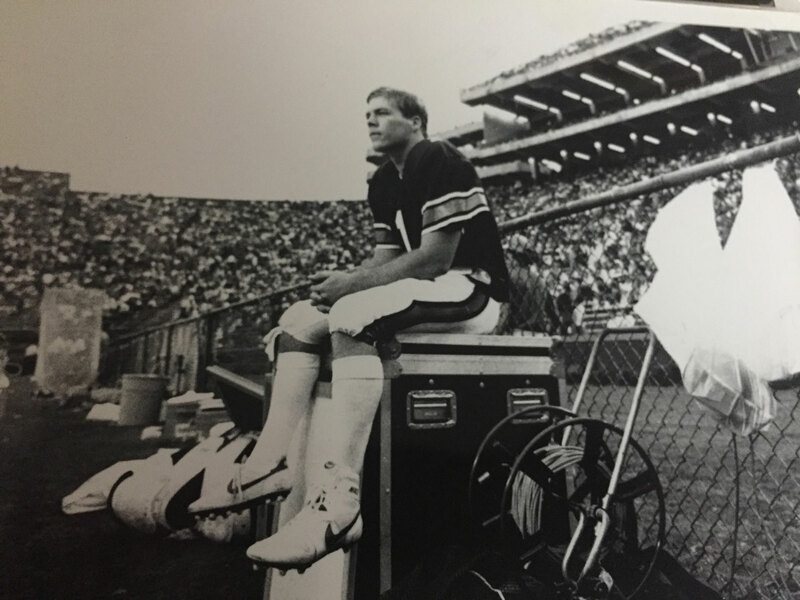 Brian Shulman’s life changed in 1986, when Auburn Tiger Coach Pat Dye awarded him a scholarship and named him the team’s starting punter. At 14, Brian had set a goal of becoming a punter in the NFL, a dream he had pursued ever since. But by college, he had no scholarship offers or a single invitation from a university football team. Shulman decided to begin as a walk-on at Auburn. That’s where Coach Dye recognized his potential. 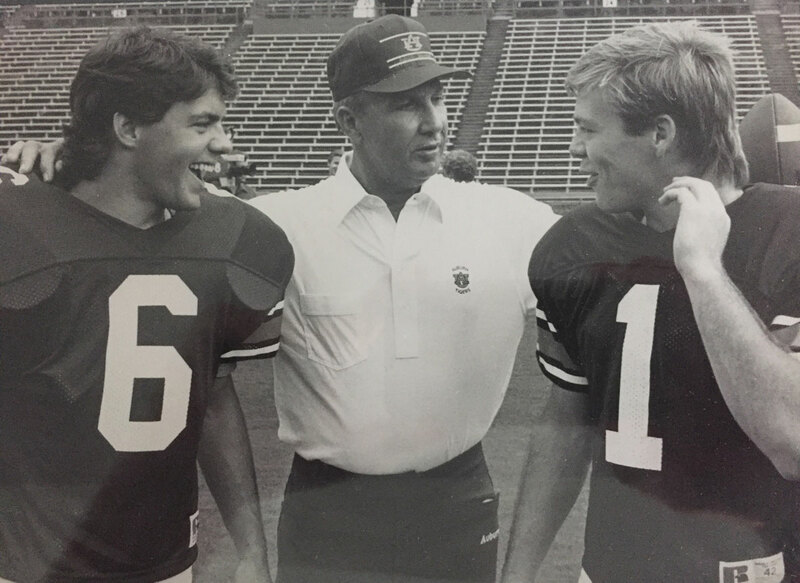 Coach Dye giving Win Lyle and me a hard time about our hair being too long. At the end of Brian’s first game as a starter, he was named the leading punter in the entire NCAA. 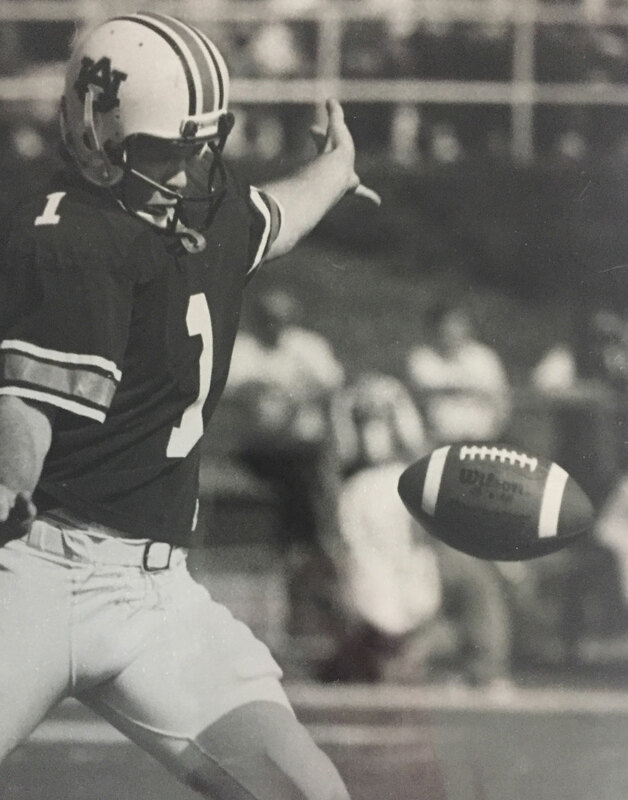 By the end of the 1986 season, he was ranked as one of the top five punters in the nation with a 44.16-yard average. He finished college as a two-time All-Southeastern Conference (SEC), 2nd team All-American punter and captain of the 1988 SEC Champions. Brian would go on to be drafted by the Green Bay Packers in 1989 in the 8th round. He was the last punter ever drafted in the NFL. After being cut by the Green Bay Packers in 1990, he gave up football and moved on to business. Brian Shulman started in sales on the ground floor: with a straight-commission position selling advertising specialties, going door to door in Atlanta high-rises. He became a visionary entrepreneur who utilized technology to develop breakthrough educational programs. After creating LTS Education Systems (formerly Learning Through Sports, Inc.), he sold it in 2016. He is now turning his attention to the healthcare industry as a partner in Princeton Capital Partners, which specializes in fostering value creation and strategic support for smaller, undervalued public healthcare companies. I tried to read the words as I dropped the ball. Auburn University officially began competing in intercollegiate football in 1892 with the Auburn Tigers team. Today, Auburn has the 13th most wins in the NCAA Football Bowl Subdivision and ranks as the 9th most successful team in the past 25 years. The College Football Research Center lists Auburn as the 14th best college football program in history. He has addressed issues of sportsmanship and steroid education before Congress, the United States Air Force Academy’s Center for Character Development, and other groups supporting the cause. Please visit his site, brianshulman.org, to learn about The Death of Sportsmanship and How to Revive It.